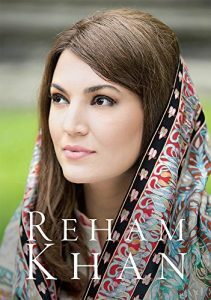 Reham Khan writes about how ex-husband Imran Khan’s drug addiction got out of hand, even if he preferred her being a ‘clean woman’. It appeared that Imran Khan was doing about six grams a night. Around Aleem Khan’s campaign and right after it the cocaine use shot up to a ridiculous level. Three bags of the magic stuff were consumed in one night. He was sinking right in front of my eyes and I watched helplessly. I thought it was repeated disappointments in politics. But perhaps even the secret maligning plan he had drawn up for his own wife tortured him on some level. He needed to bury that inner voice of conscience in more white stuff. He would avoid my questioning eyes as I discovered the empty plastic bags in the bin wrapped in torn scraps of newspapers. Just after we tied the knot, while I was in the middle of filmmaking, I had been thinking that my film crew must be dabbling in drugs. I decided to ask them to explain what I had found. A large plastic sandwich bag full of mystery capsules had been delivered by Zakir. One of the production crew opened it in my office and tasted it in front of four other crew members. He exclaimed that it was speed, but of some lethal variety. I went back home and flushed them down the toilet, but the candy just kept coming back, from various sources and in different varieties. I’d faced severe mood swings and depressive attacks in the first two months, but I didn’t know enough to understand that it was him crashing. He was either hiding it rather well, or trying to cut down. He would openly light a roll-up cigarette in front of me, filling it with a substance broken off from a round flat black mixture. He would heat it and add it to cigarette, and sometimes smoke in the afternoons. He gave me the impression that it was marijuana but it did not smell like weed. I would stumble across it several months later when making a documentary for an anti-narcotics campaign and discover it was black tar (heroin). The odd thing was that Imran would appreciate me a lot throughout the marriage for being such a clean woman with no vices. Once after a visit from Zakir, Imran said, “I said to Zak ‘I have found the woman who is unbelievably amazing. We’ve been together over eight months and she doesn’t do anything’”. I replied, ‘’Imran, there are many people like me who don’t do anything. It’s not that amazing”. He would say repeatedly; “You’ve made me give up cocaine. It’s no fun when your partner doesn’t do it”. And he would say it as if there was nothing else good about the marriage. I realised later that he wanted me to think he was not doing it anymore, so I would never talk about it after he carried out his plan. However, the drug use had increased so much by October that it couldn’t really be hidden. The day of the NA-122 (Lahore-V) result was a major moment. We had been watching the results on TV. I was trying to be my supportive best, insisting that he had done really well and that it was a victory of sorts. I was totally engrossed, and didn’t notice that Imran had left the sofa. Eventually I got up to check on him, worried he might be really upset. The door of the bathroom was open, and on the window sill was a huge heap of white dust. Imran was lining it up with a nail brush. I stood frozen to the spot. Imran spotted me and saw the shell-shocked expression on my face. I turned on my foot and walked back to sit on the sofa like a robot. Imran rushed towards me immediately. He grabbed my feet pleading for forgiveness and then pulled me into his arms. “Baby, I’m sorry. It’s just that…today, with this result”. He begged me for forgiveness over and over again. I had never wanted to catch him in the act but it wasn’t just that. Seeing the amount being used in one go hit me hard, like I’d been struck by lightning. We all deceive ourselves constantly. Some do not want to confront their own reality and some cannot bear to confront the reality of their loved ones. We don’t want to know their secrets because the truth is painful. I knew that this was who he was but I wanted to turn a blind eye to his weaknesses. We exaggerate their qualities. We are economical with the truth. The sight of my man… my leader… reduced to that of a helpless addict burnt my eyes… and my soul. I didn’t know what to say or do. I didn’t know who to ask for help. Who could I ask for help? My mind raced through the options. There was no one I trusted. There was no friend he had I could approach. How exactly do you take Mr Imran Khan to rehab? The fact was he was slipping back more and more, and the cold realization that my love couldn’t cure him was sinking in. When my first husband would get drunk every night, I would get very angry about it, especially when he would collapse in public and I’d have to put him in the car and drive him home. My attitude was not the least bit understanding, but with Imran, I was gentle. Not once did I show anger or accuse him of being a drug addict. Instead, I adopted a quieter approach. Every morning, I would find his saucer hidden in a new spot, with a credit card and residual coke. I would move it so Imran would know that I knew. He had asked me right at the start to support him in getting out of his bad habits. I made gentle suggestions, and he made endless promises to quit. as I was stood in the bathroom, he came up to the window outside and muttered, “I am sorry about last night”. I was more stunned at the apology. At the time, I took it as genuine remorse. And then the night came when I would fall for it yet again. Those promises of change and of cleaning up his act that I so desperately wanted to believe would appear again. He held me close to him all night and kept saying, “I’m cross with you that you are going”. In the morning, as he hugged me tight, I said to him firmly, “Look, this hanky-panky has to stop. You need to clean up your act”. This is an excerpt from Pakistani journalist Reham Khan’s autobiography. The book is published by SK Publishing Ltd.
Liar! A person doing 10g of cocane won’t be able to function let alone walk. What a liar she is. And to add what is an indian newspaper now interested in Pakistani elections? Worry about your own issues e.g 9 tones of trash that is on your beach due to high tide. Looks like imran married a Pakistani trash who will sell anything to get her 2 minutes of fame.